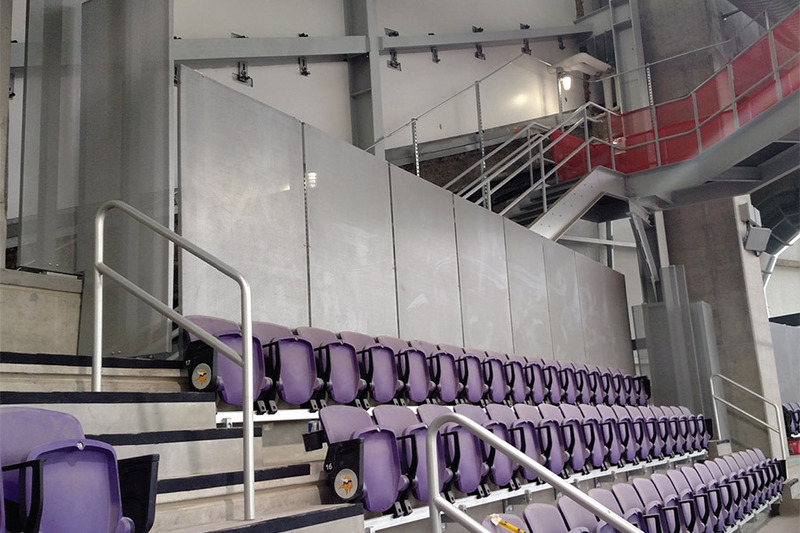 Perforated Metal Screens were used to create a visual barrier at the new U.S. Bank Stadium for the Minnesota Vikings. Perforated metal panels are environmentally-friendly building materials. Perforated Screens help diffuse light, air and sound, and are a perfect solution to create a semitransparent barrier without the weight of standard metal panels. McKey Perforating, a division of Diamond Manufacturing, provided the panels for this project.